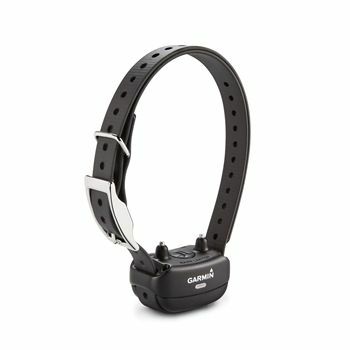 The new Garmin BarkLimiter is a bark collar that has been designed by Garmin, using proven Tri-Tronics® dog training technology. The Bark Limiter has an innovative accelerometer technology that can distinguish between barking and other vocalizations. The Bark Limiter Series has Advanced Bark Correction Technology. A consistent and instantaneous correction is given to nuisance barking while ignoring the good barking while substantially reducing false corrections that can be caused by external noises such as scratching or other dogs’ barking. The lightweight and compact Bark Limiter is very simple to use and comes with a user replaceable lithium-ion battery and stainless steel contact points. You can also set-it-and-forget-it with the “auto-rise” function. This feature automatically programs the intensity level for you based on the barking behavior of your dog. Also, you can choose between traditional electronic stimulation or vibration with this unit. There is also a Bark Odometer™ included as part of this unit and it lets you know exactly how many times your dog has barked while they were away. This unit is waterproof in one meter of water for up to 30 minutes. Bark Limiter is automatically set for the Auto-rise function right out of the box so it is ready to run. When a bark is detected, Auto-rise starts at the lowest level of correction, and corrections gradually rise until the dog stops nuisance barking. After a prolonged period of quiet, the Bark Limiter will reset itself to two levels below the dog’s maximum level reached and begins rising again if barking resumes. Feel free to switch from automatic to manual settings on this bark collar. A built-in Bark Odometer helps determine the effectiveness of the manual correction level by counting the number of barks. The BarkLimiter features a long lasting user replaceable CR2 battery, offering up to 10 months of battery life. If you prefer a rechargeable battery, consider the Bark Limiter Deluxe.